#2F Villa Sanibel on luxurious West Gulf Drive - A spacious two story vacation home with a beamed wood ceiling and clerstory windows under the roof that give this condominium unit an airy and luminous feeling. The two bedroom, two bath apartment with loft is fully furnished with all linens (including beach towels) and kitchen utensils. The master bedroom contains a king-size bed, with queen bed in the second bedroom and a day bed with a pop-up trundle in the loft, which overlooks the living room area. 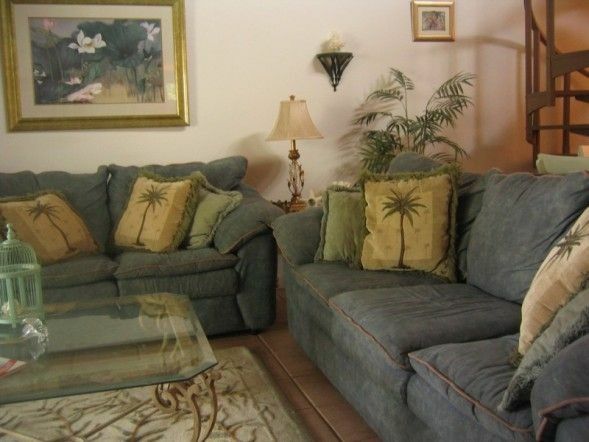 Our complex, Villa Sanibel, a twenty unit oceanfront complex, was re-modeled extensively - inside and out - in 2006. The pool was re-surfaced and a cobblestone patio installled in 2005. The tennis court was re-done then as well. Inside the new kitchen has new appliances, including a side by side refridge/freezer with ice and chilled water through the door and granite counters. Having only 20 units the property offers quiet and privacy with the famous beach only steps away. In addition to the air-conditioning, there are three ceiling fans for comfort in all seasons. A screened-in lanai for dining overlooks the pool and garden. Activities:: One of the best shelling beaches in the world is right outside the door. The Beachview Golf Course is two minutes away and shopping, restaurants and theaters are nearby, easy to reach by car or by Sanibel's lovely and safe bike path which runs right by the complex. The Bailey Tract of the Ding Darling Nature Preserve is within walking distance and wildlife is always nearby with dolphins, tortoises, osprey, ibis, etc. sighted daily. Both baths have dressing rooms. We loved our accommodations. There were a few things that needed updating. We loved the proximity to the Gulf. The condo complex was extremely quiet, day and night. We hope to rent this condo again.